This is a utility for scoring Imperial Outdoor Rounds. It will store each shoot and will even use those shoots to give you a bunch of statistics about your shooting. 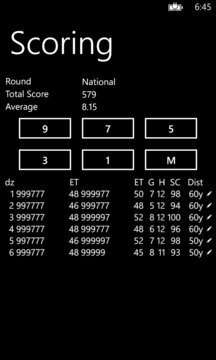 You can use this to help improve your average and hopefully move on to better scores. Happy Shooting.